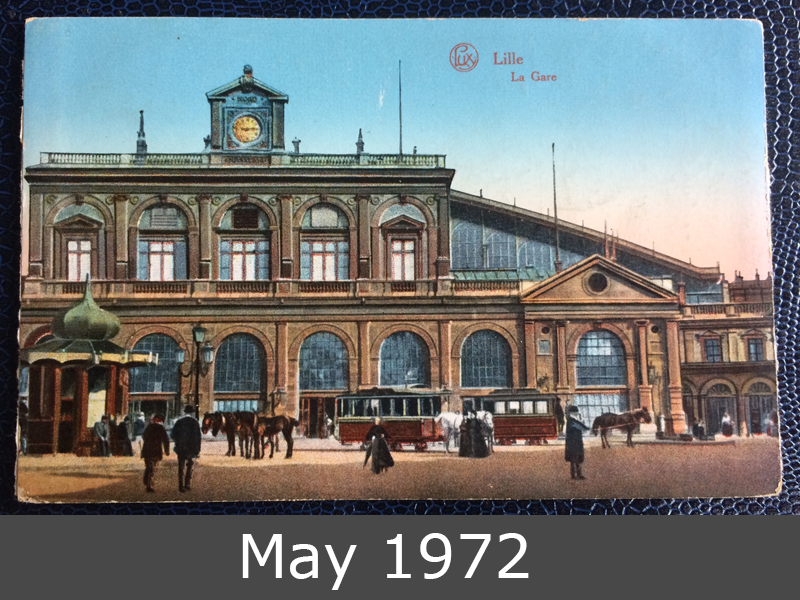 This card goes from Lille in France to Nürnberg, Germany. This is the time of World War I. You can see on the back: no stamp. Because, this is a “Feldpost” card. 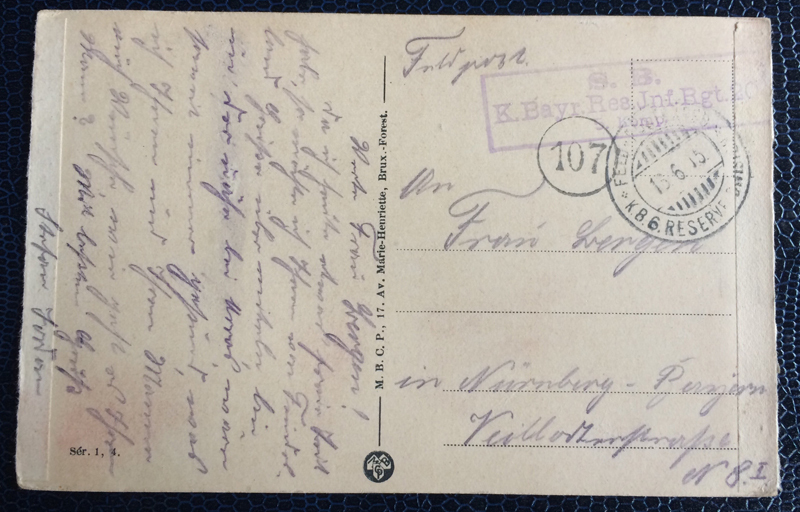 That means, this postcard was send by a soldier home. There is a stamp of his company: “K. Bayr. Res. Inf. Rgt.20 – 5. Komp.”, what means royal bavarian reserve infantry regiment, company 5.